Philippines and Pakistan passport holders especially who are in the UAE are in risk of being stranded due to the halt of 90-days Visa issuance by the UAE government. There are also growing concerns on the welfare of those who already were on their visa run waiting for the release of their 90-day visit visas. 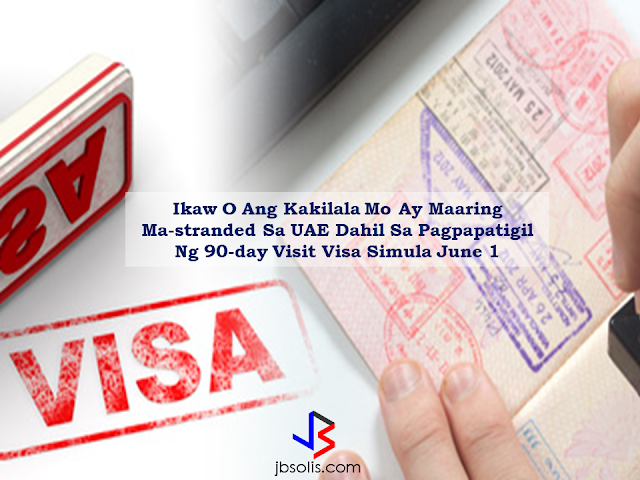 There are no official numbers yet but a lot of Filipinos has been rushing to exit UAE everyday for their visa runs. 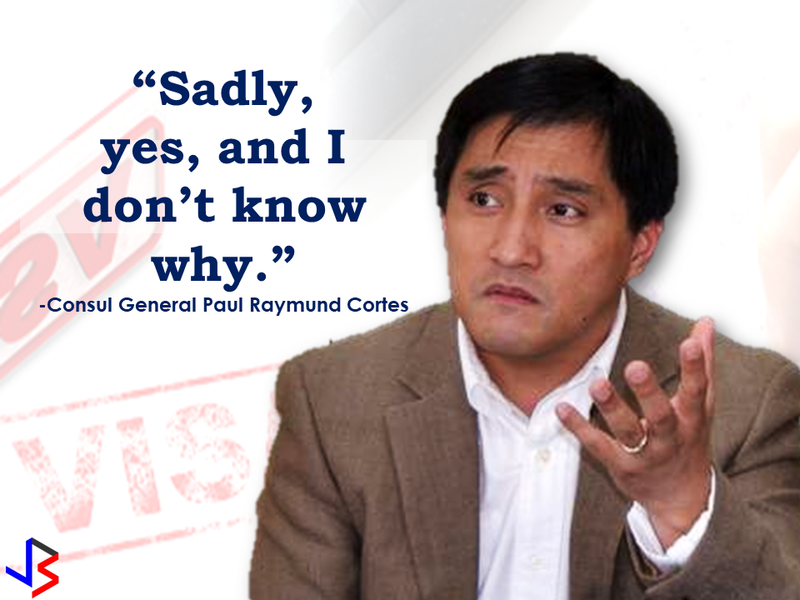 Consul General Paul Raymund Cortes also confirmed about the halt of 90-day Visa processing and he said he also has no knowledge on the reason why they stopped it. The Filipino Times visited various travel agencies whom also confirmed that the rule has been made effective starting June 1, 2017. Malou Q. Prado, CEO of MPQ Tourism said that starting the night before, the system won't accept the processing of 90-day Visas. 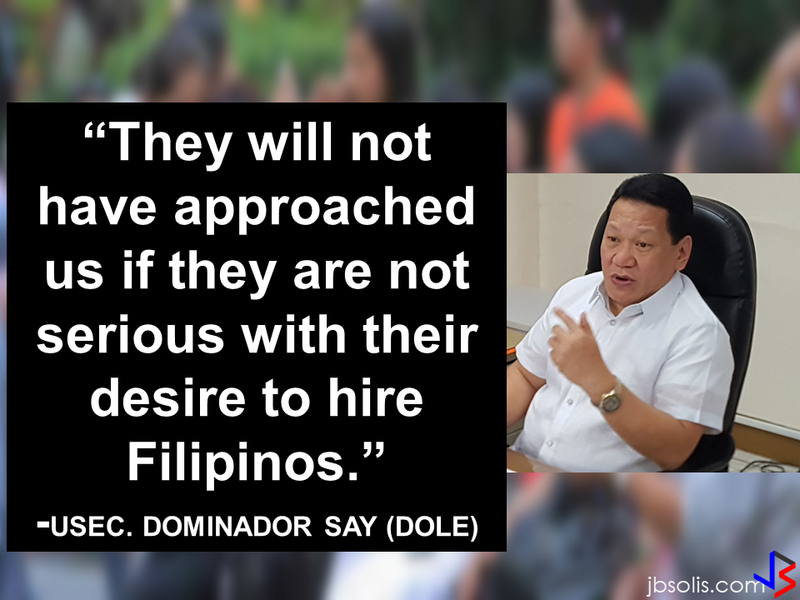 As to why it only singled out Filipino and Pakistani nationals, they are also puzzled. They said that it should affect all expats. 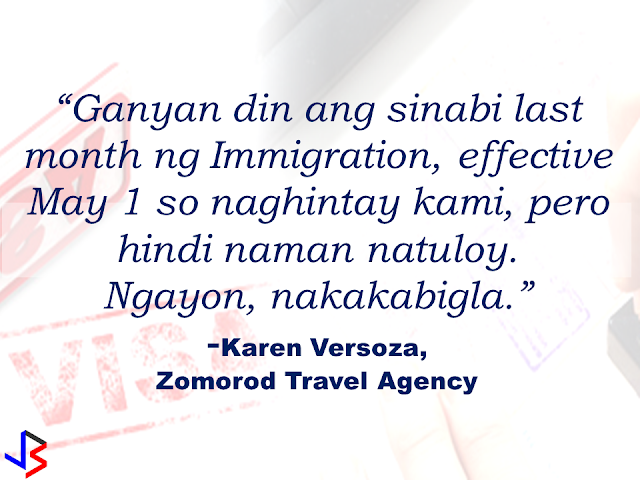 Karen Versoza, agent at Zomorod Travel Agency, said that the visa issuance is now limited to only a month. She also said that the Immigration has announced the halt of 90-day Visa issuance to be effective last May 1, 2017 but it did not happen. 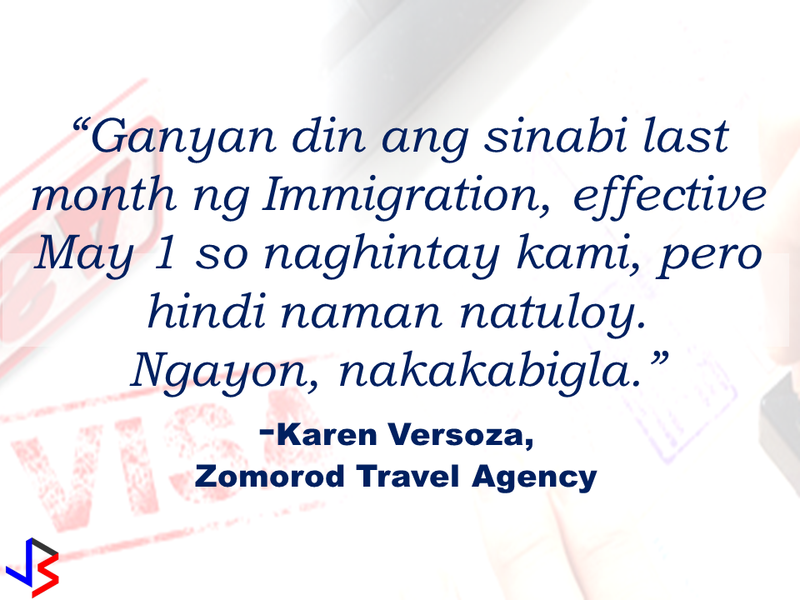 We did our own research from a certain travel agency who requested to withhold their identity and they said some of the agents can still apply but as to the guidelines of the rule, it still needs to be clarified in the coming days. 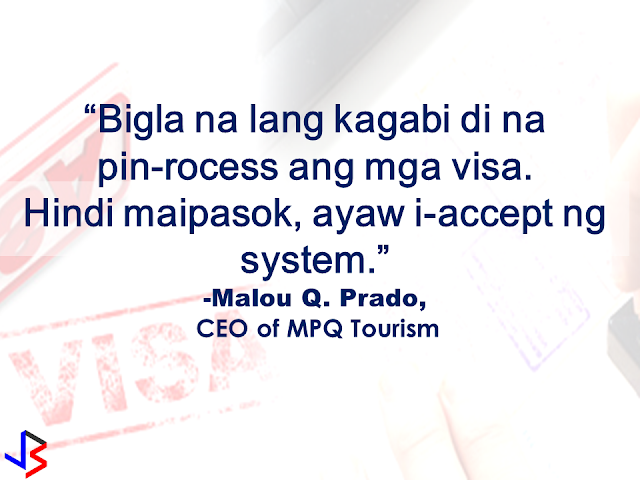 Prado said a remedy for those who already applied for the 90-day Visa is to change the application to Leisure Visa or to a month’s visit visa.